Launch of the Matsés Comprehensive Herpetological Inventory, Uitsun Friendship Bracelets and more! With 2016 drawing to a close and a new year ahead of us, we wanted to take a moment to thank our supporters and update you on our on-the-ground conservation initiatives in the Amazon Rainforest in partnership with the Matsés indigenous people. We are excited to share with you the achievements of some of our ongoing projects as well as to announce the launch of two new initiatives! 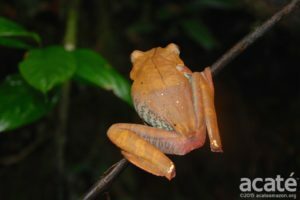 Although the rainforest biomes of western Amazonia harbor amongst the highest levels of species diversity in the globe, population densities for most species are typically quite low, making the detection of many species a matter of chance that increases with the amount of time spent in the area. In fact, some species are so rare that that field biologists may be fortunate to ever chance upon them. This makes inventories of species diversity by current methodologies so challenging and underscores the limitations inherent to high budget ‘rapid biological assessments’ conducted during intense field visits by outside scientists of a few weeks duration. Few localities in the Amazon rainforest can truly claim zoological inventories that are even close to complete, let alone begin to comprise a full accounting of the complex and extraordinary natural history of rainforest animals. Considering the obstacles for biological field research and dwindling funding available for conducting such research, it may be a long time before exhaustive species inventories and detailed natural history information become available. In many areas, the trajectory of rainforest destruction and species extirpation is far exceeding that pace. What is less recognized is that local indigenous knowledge of animals is being lost even faster. 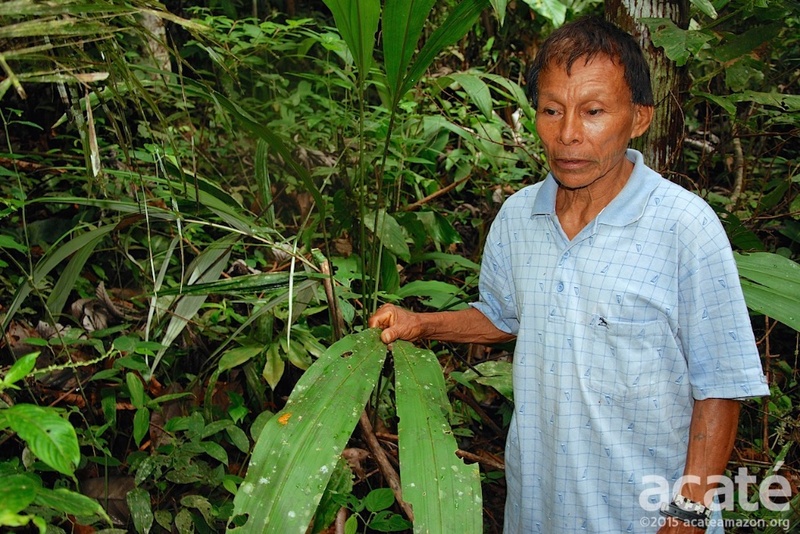 The Matsés indigenous people possess a vast and unparalleled ecological knowledge of their local fauna. 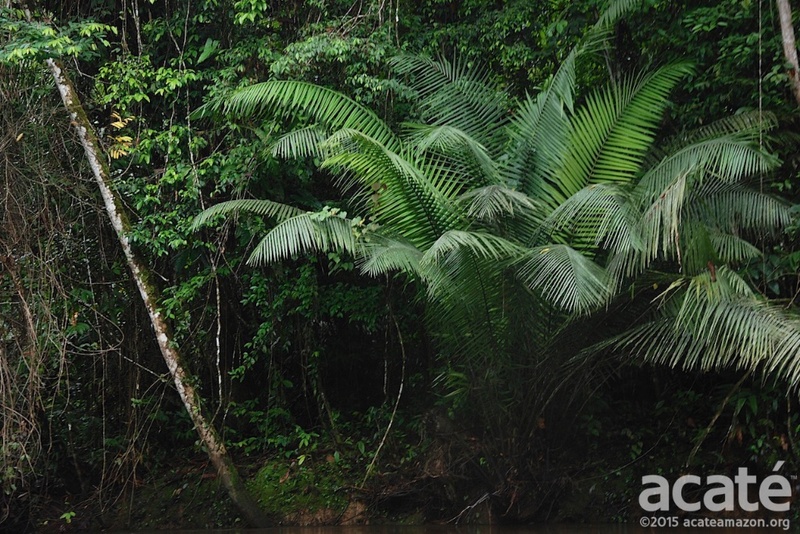 This familiarity and understanding derives from their close physical and spiritual ties to the rainforest. 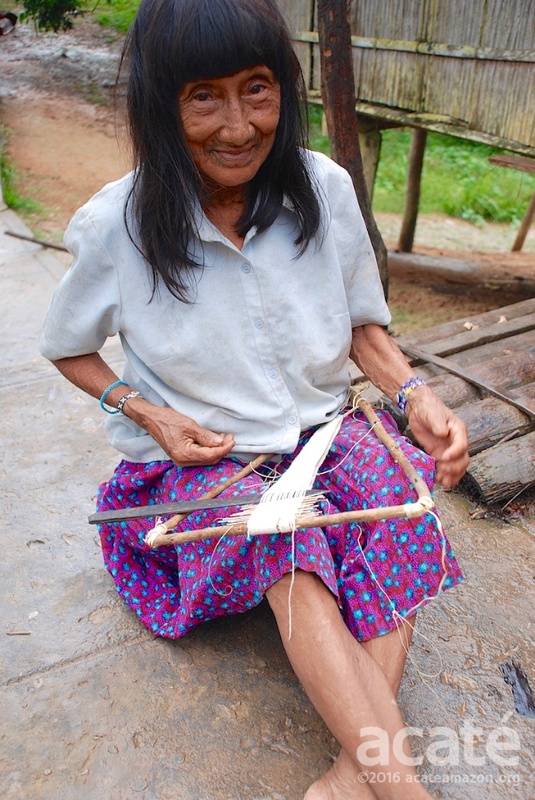 Because of their recent isolation, older Matsés (>35 years of age) still possess undiminished traditional knowledge. However, acculturation of the Matsés to the Perú’s national culture (and that of the globalized culture) is advancing more rapidly. Faced with racism and discrimination in dealings with the outside world, younger Matsés commonly shun their identity and look to the outside world for prestige and aspired economic success. While Matsés elders continue to be deeply proud of their identity as Matsés and wish to pass on their knowledge of the rainforest, they seldom find a young person willing to listen. 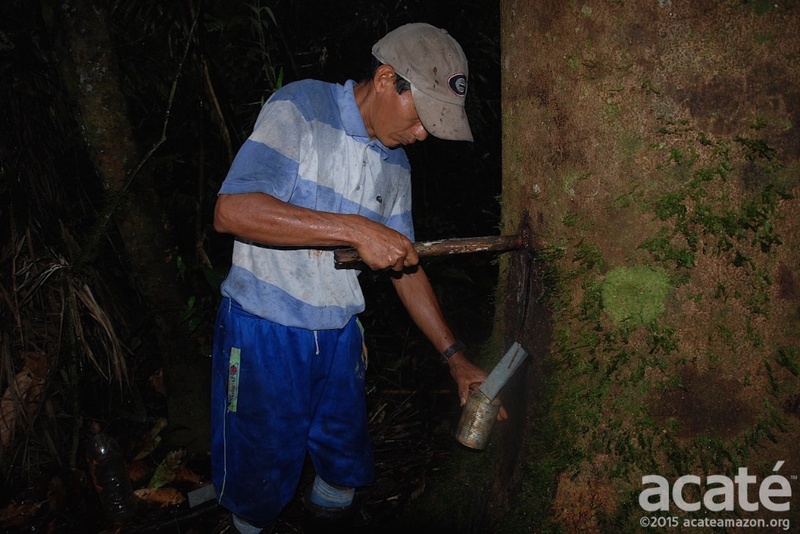 Such was the case with their traditional medicinal knowledge before Acaté’s Traditional Medicine Initiative. Even though the villages still relied on medicinal plants as their primary form of health care, provided by a few remaining elder plant masters, who, at that time Acaté started the project, did not have a single apprentice. 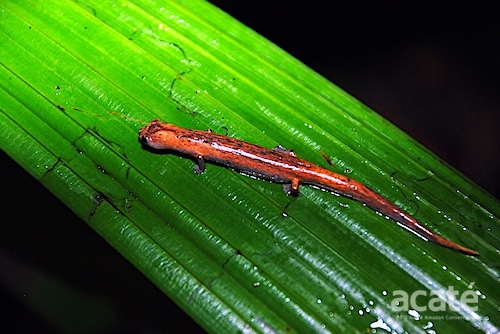 The Matsés Comprehensive Herpetological Inventory is a long-term survey of reptiles and amphibians in the Matsés territory led by indigenous rainforest masters in partnership with university-trained biologists. Although parts of the territory have received some attention by herpetologists — in the form of rapid biological inventories — total field survey efforts amount to less than six weeks. Not only were these surveys short in duration, they were performed during the dry season, the period of lowest activity for amphibians and reptiles. Even despite these limitations, several new species were found that still remain to be described and named by specialists. Zoologists suspect, given the size of the Matsés territory, it’s relatively undisturbed condition and diversity of habitats, the number of known amphibians and reptiles species recorded so far probably represents less than half of the actual diversity. Over a period of three years, teams of Matsés located in spatially distant and ecologically distinct areas across the Peruvian Matsés territory will record the biodiversity of reptiles and amphibians in their region, capturing, releasing and documenting their findings in notebooks and with photography. 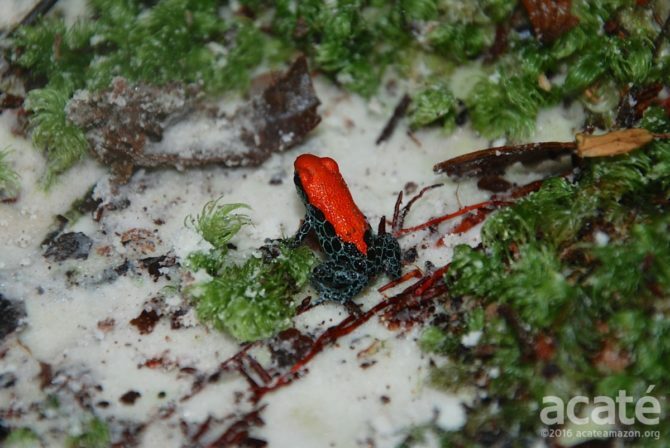 In rainforest settings, photography is quite difficult for even the most experienced photographers. Low light, humidity, and muddy conditions pose but a few of the challenges. Our initiative will take advantage of technological innovation by using recycled smartphone cameras. These cellphones fit in the palm of the hand, are easily to carry even while climbing trees or crossing jungle streams, and are proving to be quite useful in variable light conditions in the rainforest. Relatively inexpensive after-market macrophotography adaptors can be applied for capturing identifying features of small animals like lizards and frogs. Touchscreens allow for real-time user interface enabling the Matsés to focus and review images to ensure critical identifying features of each animal are recorded for biologists. In addition, smartphones have high storage capacity for thousands of images as well as video capability. Acaté is partnering in this project with biologist Dr. Jose Manuel Padial, Ph.D. of the Carnegie Museum of Natural History, a scientific expert in Amazonian herpetology. He and his colleagues in Perú will review the images taken by the Matsés and compare them to existing records of reptiles and amphibians documented in the area. Ultimately, the photographs will be compiled into a comprehensive identification field guide written in Matsés, Spanish, and English. Our initiative seeks to help transmit the elders’ knowledge through future generations and develop economic incentives for continued and expanded conservation efforts. In contrast to rapid biological inventories conducted in indigenous regions, where any involvements and benefits to the indigenous communities end a few short weeks after they begin, our initiative engages over the long term a number of families in different communities across their territory. 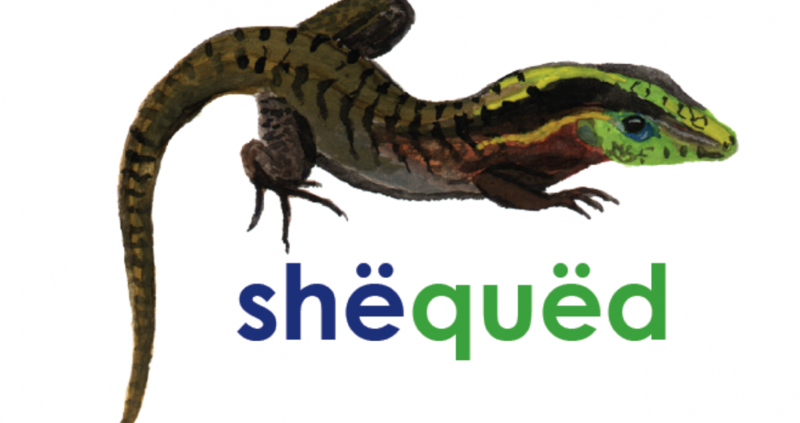 Important for the Matsés teachers, the project will also result in the production of an illustrated children’s book in Matsés for use in primary schools, with illustrations of different reptile and amphibian species drawn by Matsés indigenous artist Guillermo Nëcca Pëmen Mënque! Through adding value and economic incentives to conservation and science, the Matsés elders hope that this initiative will be a source of pride for the young people and show that the outside world values their mastery and knowledge of the rainforest. The initiative will contribute to science providing a more comprehensive and detailed picture of the diversity of the herpetological fauna in Matsés territory than possible with current methodologies. By engaging the Matsés as true partners in research, this initiative sets a new standard in collaboration between Western science and indigenous ecologists. 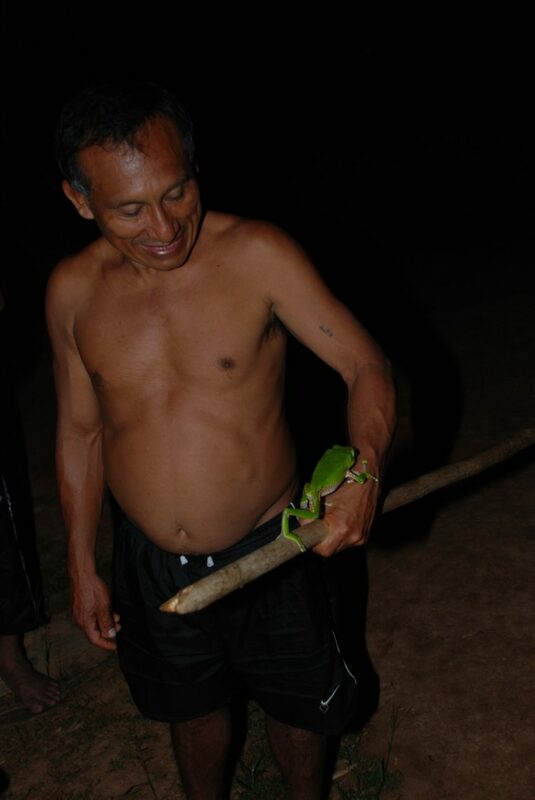 In December 2016, the Matsés Comprehensive Herpetological Inventory was launched with a survey on the mid-course of the Galvez river by a Matsés team led by renowned shaman and chief Antonio Jiménez from the village of San Juan Nuevo. Stay tuned for more updates as this important project progresses! International rainforest conservation efforts, big and small, commonly focus against destructive economic activities, such as logging and poaching, but with little or no attention toward creating viable on-the-ground economic alternatives where few exist. If real economic alternatives to support local livelihoods are absent, such campaigns are sadly doomed to ineffectuality. As rainforest destruction continues and increases, many feel that status quo conservation is not working, and little can be done to stem tide of human encroachment and resource extraction on our finite planet. Apathy sets in at a critical time when action is needed most. 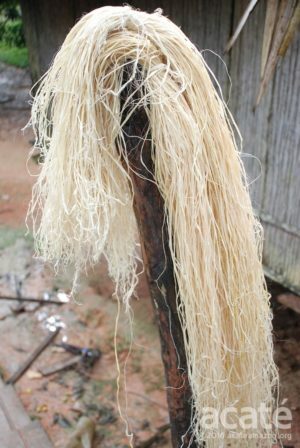 Even the most recently contacted indigenous groups, such as the Matsés, who today still subsist on largely traditional sustenance activities—and thus retain a high degree of self-sufficiency—are increasingly drawn into the cash economy to obtain basic household needs, including outside Western medicines. From our work with the Matsés and other groups, we’ve repeatedly seen first hand that local inhabitants generally don’t want to engage in these extractive industries. Mining brings exposure to a cesspool of disease and toxins. Timber cutting and extraction is a backbreaking and highly dangerous activity for which communities profit extremely little from the export of valuable hardwood used to produce high-end furniture. Most of the money earned in timber extraction is tacked on by middlemen and never reaches the communities that bear the brunt of the destruction. Almost no one, indigenous or not, wants to sell out their land and future to corporate extractive industry only to have it become polluted and its vitality depleted. But where are the alternatives? 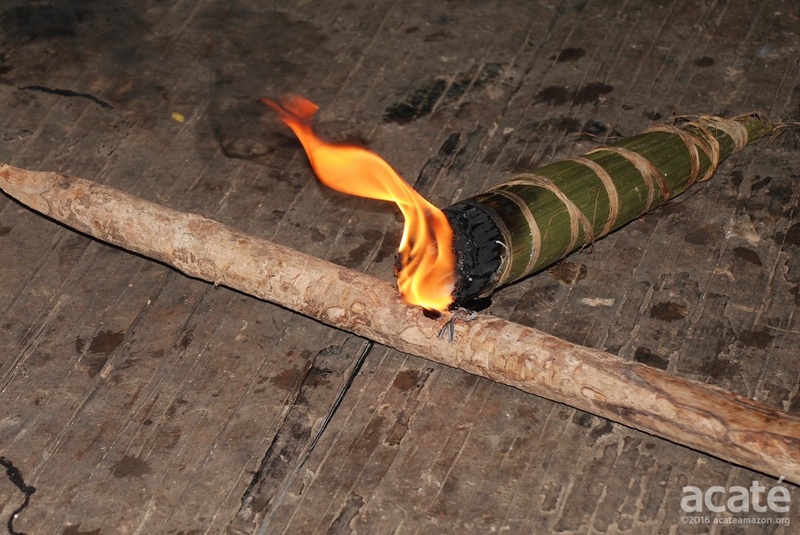 Recognizing this, at the outset of our founding, Acaté and the Matsés leaders set economic development as our first pillar designed to maintain the self-sufficiency of the Matsés people. Indeed, one of Acaté’s first projects, the Renewable Resins program, involves the sustainable harvest and marketing of copaiba, the golden resin of a slow growing, upper canopy rainforest tree. Copaiba resin has potent anti-inflammatory as well as anti-fungal properties. It is also used as a base for cosmetics. Copaiba is unable to be easily sourced in most settled areas of Amazonia, because, just like the hard wood mahogany, the trees are quickly cut down and sold off for pennies of their final market value. Thankfully, copaiba trees still stand tall across in several areas of the rainforests protected by the Matsés. Since the program’s inception in 2014, we’ve now expanded the program to a total of three villages! It has been hard work with many pitfalls, but the perseverance, strength and determination of the Matsés people have made it a viable reality. Recognizing the need to further expand and diversify the market economy, during all of our village meetings with the Matsés, we engage Matsés communities in discussion and brainstorming for potential opportunities for additional non-timber forest products. During one such meeting recently in May, a Matsés woman, Carmen Rodriquez Lopez, stood up to address the assembled chiefs from the 14 villages. She pointed out that the economic program has centered so far on activities done by men, but that women, too, have valuable skills and want to contribute to develop generating economic opportunities for their families. She held up a fistful of beautiful woven friendship bracelets called uitsun by the Matsés. Entirely traditional and beautifully woven in a loom with natural chambira palm fiber or tree cotton, uitsun bracelets are worn around the ankles or wrists. A sister weaves and puts one on her little brother by slipping the knotted ends through little loops. As she grows up, a girl will weave a bracelet for her boyfriend (secretly), then her husband, and ultimately for her children. If a relative died, the people would not wear uitsun for a year, lest they appear too happy. Although these bracelets are still worn as accoutrements of daily wear, Carmen lamented that the knowledge of their craft is not being passed down and learned by the younger Matsés women. Thus began our next initiative, the Uitsun Traditional Handicraft Project. While the passion and commitment of the Matsés women is strong, the market demand for their handicrafts currently isn’t yet established. While some indigenous handicraft projects do support local communities, many initiatives typically only source from a small handful of individual artisans, usually located in the most geographically accessible villages, despite marketing that the purchase of handicrafts benefits an entire tribe. The Matsés are remarkably egalitarian people. At our meetings, they reiterate that it is important to them that projects involve as many members of their community as possible so that the benefits can be as inclusive and widely shared. Acaté’s goal is to provide Matsés indigenous women the opportunity to earn income on their own while preserving their inherited traditions. 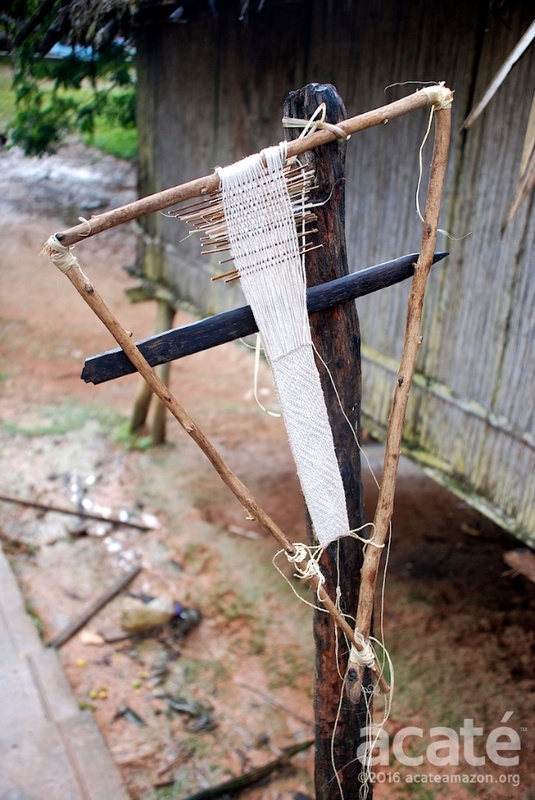 We are collaborating with Xapiri.com, a new online and retail marketer of Amazon handicrafts committed to the support of indigenous culture and providing an economic outlet to communities through fair trade projects. In the Uitsun Traditional Handicraft Project, each individual uitsun bracelet can be traced to the community, indeed to the very Matsés craftsperson, with an unprecedented level of transparency and documentation. The initiative is being coordinated directly by the Matsés high chief Wilder Flores with a goal to involve as many individuals and villages as possible. For the Matsés, this is not an easy task the villages are spread out over several river systems that can require days to travel between villages. In our first production order for Xapiri, the uitsun bracelets were purchased from 42 Matsés families from 4 different villages! This holiday season please consider purchasing these extraordinary beautiful crafts as unique and beautiful gifts that comes from the heart of the rainforest. Buy one for your significant others and know that your purchase directly supports the livelihood of the true protectors of the rainforest. This is it for now! 2017 promises to be a most exciting year with opportunities and challenges. Stay tuned in February for a very special report by Acaté Field Coordinator, David Fleck, as Acaté breaks ground with an innovative project into a new and vitally important domain of biocultural conservation! Also if you missed it, check out Acaté’s field report in June on the Matsés Indigenous Mapping Initiative, a landmark initiative in which the Matsés are mapping, for the first time ever, their territories and homelands according to their history, culture, and language. More updates to follow! Your Donations Make All This Happen! 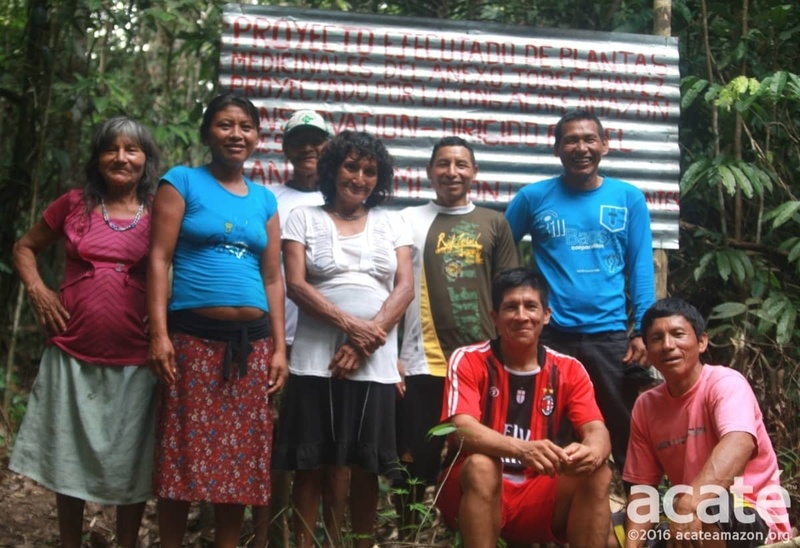 Acaté is an on-the-ground conservation organization that works directly in a true and transparent partnership with the Matsés indigenous people to maintain their self-sufficiency and way of life. The Matsés safeguard one of the great areas of rainforest on the planet, protecting an area of over 3 million acres in Perú alone and shielding some of the last remaining uncontacted tribes in voluntary isolation from unwanted encroachment from the outside world. Consider supporting our vital projects that maintain indigenous self-sufficiency and retains their ancestral healing knowledge at a critical time! Our projects rely on your support and your donations go directly to fund these on-the-ground initiatives that operate at the leading edge of conservation with unparalleled transparency and accountability. As always, your contributions are tax-deductible.